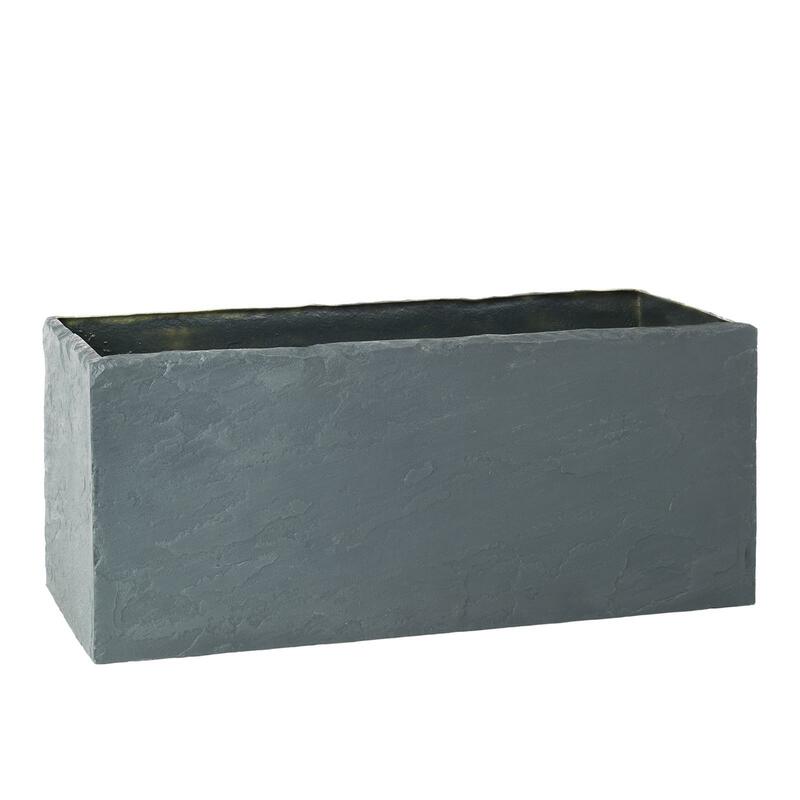 REALISTIC SLATE EFFECT FIBREGLASS TROUGH PLANTER. LARGE, SINGLE SIZE ONLY. A truly realistic, natural slate effect trough planter, with the original mould being made from a piece of natural slate. 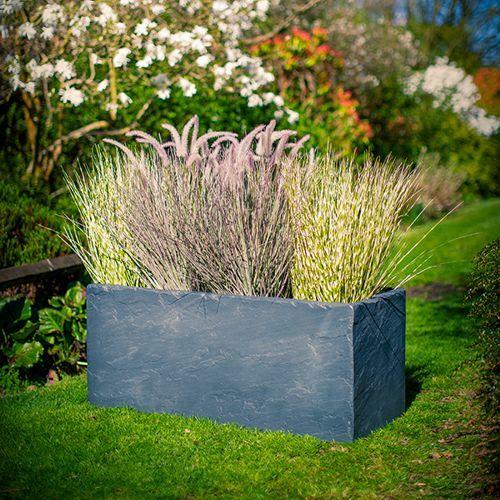 Only available in this 1 size, its a great trough planter for positioning along walls, at the edges of patios and terraces or to help define and separate garden "rooms". Drainage holes are included - we will always contact you before proceeding to check whether they are required.